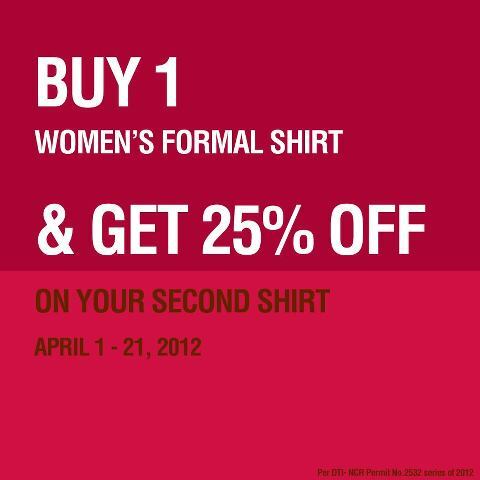 Buy 1 Women’s Formal Shirt and Get 25% off on your second shirt! 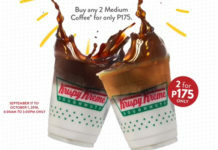 Promo period is from April 1-21, 2012. Per DTI NCR Permit # 2352 Series of 2012. 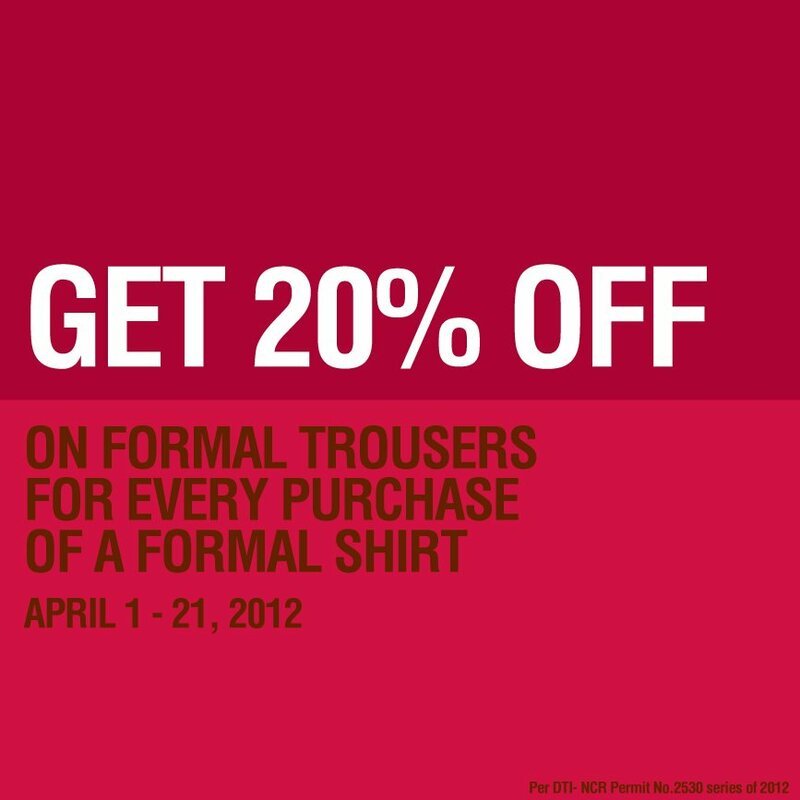 Get 20% off on Men’s Formal Trousers when you purchase a formal shirt! 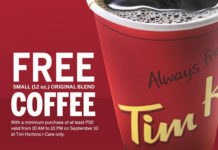 Promo period is from April 1-21, 2012. Per DTI NCR Permit # 2350 Series of 2012. 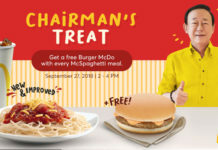 Level 1, Francisco G. Nepo Ave.